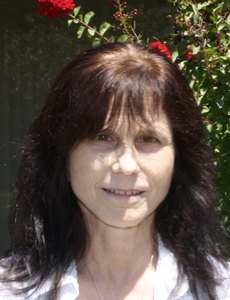 Kathy Sullivan, Ph.D., ABPP, is the founder and Clinical Director of the Sullivan Center for Children. She holds a Diplomate from the American Board of Professional Psychology and is Board Certified in Clinical Child and Adolescent Psychology. Dr. Sullivan received her undergraduate degree from Indiana University, her doctorate from the California School of Professional Psychology in 1980, and was licensed by the state of California in 1982. Dr. Sullivan has over 25 years of experience specializing in the treatment of emotionally disturbed children and adolescents. Before opening the Sullivan Center, Dr. Sullivan practiced in a variety of children's inpatient, residential, and outpatient settings. She was on the Medical Staff of Kings View Hospital for nine years, and between 1986 and 1989 she developed and served as Unit Chief for the first pre-adolescent inpatient psychiatric unit in the San Joaquin Valley. She is a two-time past President of the San Joaquin Valley Psychological Association, and she holds memberships in the American Psychological Association, the California Psychological Association, the San Joaquin Valley Psychological Association, the American College of Forensic Examiners, and the Association of Family and Conciliation Courts. Dr. Sullivan is also listed in the National Register for Health Service Providers in Psychology.